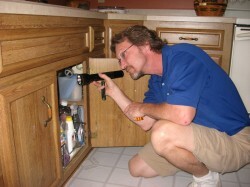 The majority of plumbing problems that homeowners encounter are found in kitchens and bathrooms. We carry a large inventory on our trucks to repair a vast amount of problems without going to the parts house. That means saving you money on your next call.